Greece’s Parliament Speaker Nikos Voutsis sees Greece as a bridge between Europe and China whilst China-Greece cooperation could develop much faster and to a greater extent. Voutsis made the comments during an interview with Chinese news agency Xinhua ahead of his five-day official visit to China on Monday where he will travel to Beijing and Shanghai to hold talks with Chinese officials on further strengthening bilateral relations. “We have excellent relations as peoples and countries especially in recent years in the financial, trade sector. We believe we are a bridge between Europe and China for the economy, as well as for culture,” Voutsis said. According to Nikos Voutsis, Greece and China have made significant progress in recent years in their cooperation in many sectors in the context of the China-Greece strategic partnership as well as the Belt and Road Initiative. “The course and the effort that Greece is making for its relations with China are not uninterrupted. 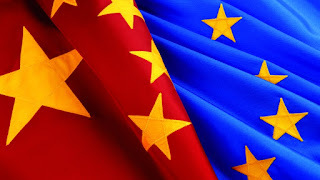 There are some obstacles which are inherent in EU (European Union) rules and which on a number of occasions are enlarged in proportion to the ‘threat’ that some Europeans feel of China’s role,” he said. Date : 6/18/2018 01:36:00 μ.μ.